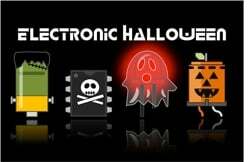 LED Dance Costume #ElectronicHalloween « Adafruit Industries – Makers, hackers, artists, designers and engineers! LIGHTSKIN (excerpts) – CK Zamek, Poznań from Strange Loop on Vimeo. Love to dance? Illuminate your night by making your own version of LIGHTSKIN. Make like the wind and blow them away this Halloween! >Illuminate your night by making your own version of LIGHTSKIN. I don’t see any instructions.